Samsung India has hinted that it would be launching Indian focused smartphones across all price segments this year. According to a top company executive, Samsung is focusing on multi-dimensional strategies to counter the growing competition especially from the Chinese smartphone makers in the Indian smartphone market. Samsung has been the leader in the overall Indian smartphone market with 24.7 percent share in 2017 according to the latest numbers from the International Data Corporation (IDC). However, later in the year Chinese smartphone maker Xiaomi took on Samsung by shipping more than 9 million devices alone in Q3 2017. Further, the South Korean giant also wants to boost its sales by expanding its retail stores and online presence as well. Samsung already has the largest retail network in the country with over 150,000 outlets. “We will continue to invest in and focus on channels where consumers seek to engage or buy or own Samsung, whether offline or online. We are present ubiquitously across channels in the country which is core to our channel strategy,” Warsi further added. The company is also planning to expand its market share with its R&D and innovations. “We invest $14 billion (roughly Rs. 90,900 crores) in R&D globally and have five global R&D centers based in India. There are two manufacturing operations as well through which, we are always trying to keep ourselves ahead of the curve in R&D towards ‘Make for India’,” said Warsi. 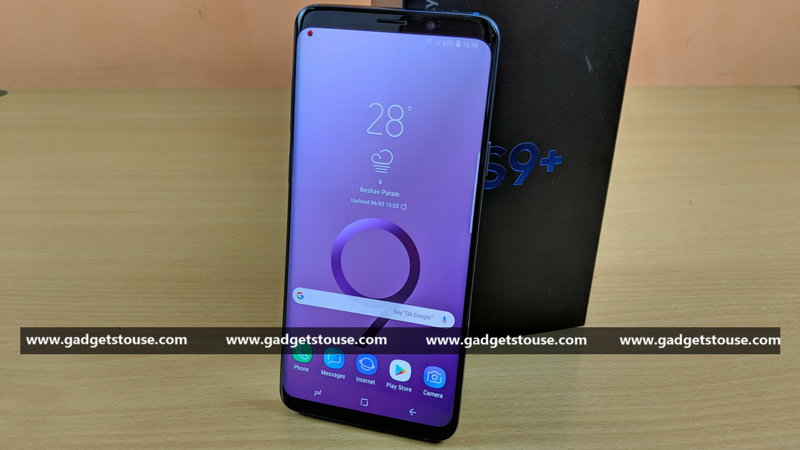 Samsung has just launched its flagship Galaxy S9 and S9+ flagships in India on Tuesday that have several ‘Make for India’ features such as LTE Carrier Aggregation which will allow users to stream data 2.5 times faster. The company has partnered with Reliance Jio and Airtel for LTE carrier aggregation where spectrum across different bands merge into one single pipe. The Galaxy S9 and S9+ cost Rs 57,900 and Rs 64,900, respectively, for 64GB variants and also come with company’s own loyalty programme called “Samsung Rewards”. The devices are going on sale in India from March 16. Warsi believes that these devices will help the company further consolidate its leadership in the premium segment. “The kind of response we’ve seen from India towards our devices has been unprecedented so far. We expect the excitement around S9 and S9+ is going to take it to another level,” Warsi said.